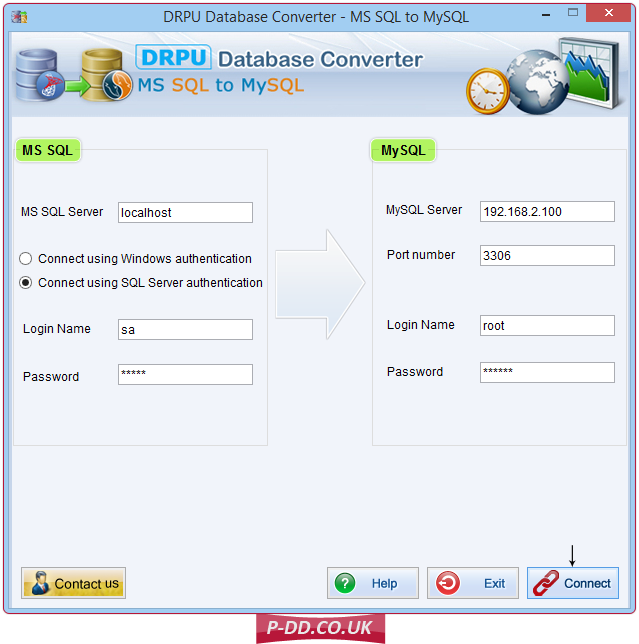 Launch MS SQL to MySQL Database Converter and establish connection with MS SQL server and MySQL server using Windows authentication and SQL server authentication as shown in above screen. 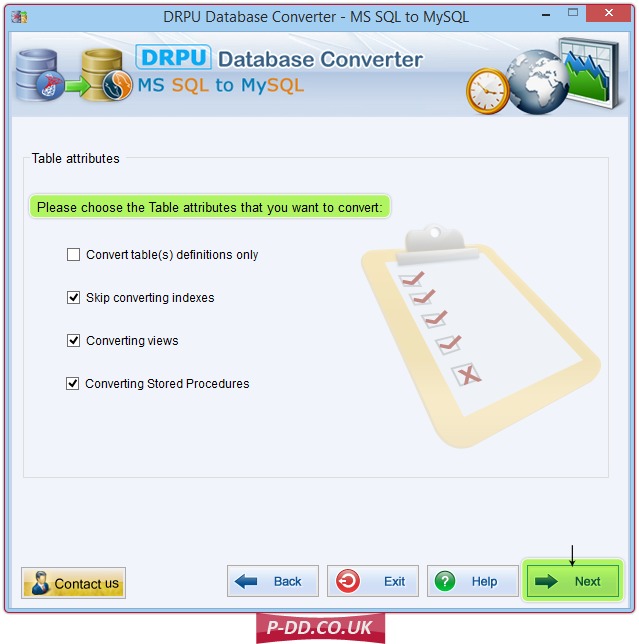 Choose convert tables definitions, if you want to convert only table structure. 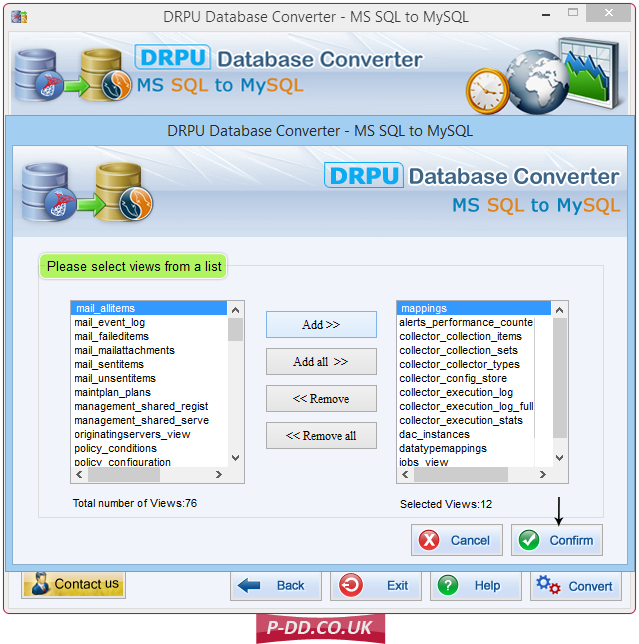 Similarly, select skip converting indexes, converting views and convert stored procedures options according to your requirements. 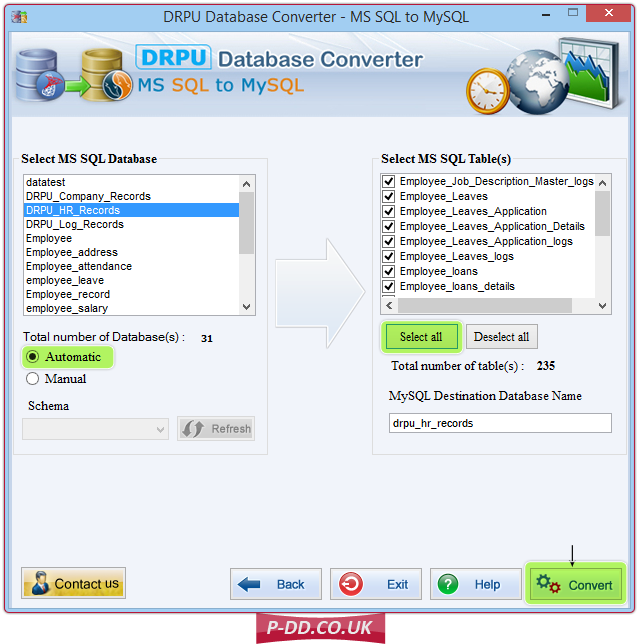 Database converter provides Manual option to select schema manually from database and choose selected database table(s) to convert it. 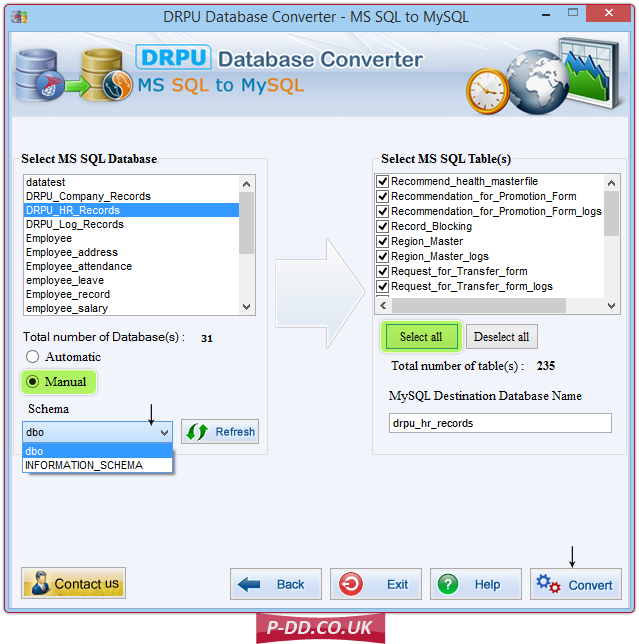 Left Panel shows the MS SQL Database list with option to select the required MS SQL Database to convert into MySQL Database. Right Panel shows the MS SQL Table(s) list of the selected MS SQL Database. In Automatic option, Schemas items are automatically selected to convert it. 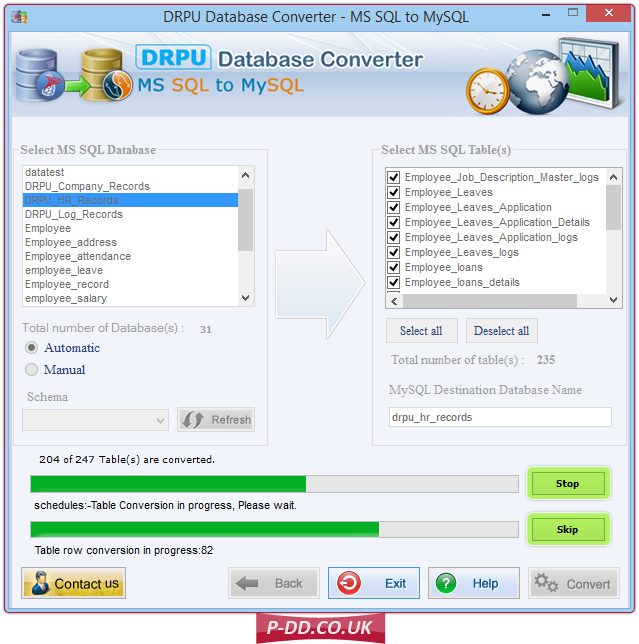 Above screen shows the progress of Database conversion process, please wait while converting MS SQL Database to MySQL Database. To abort the ongoing Database conversion process, click on Stop button. If you want to skip any particular table then you can use Skip button. 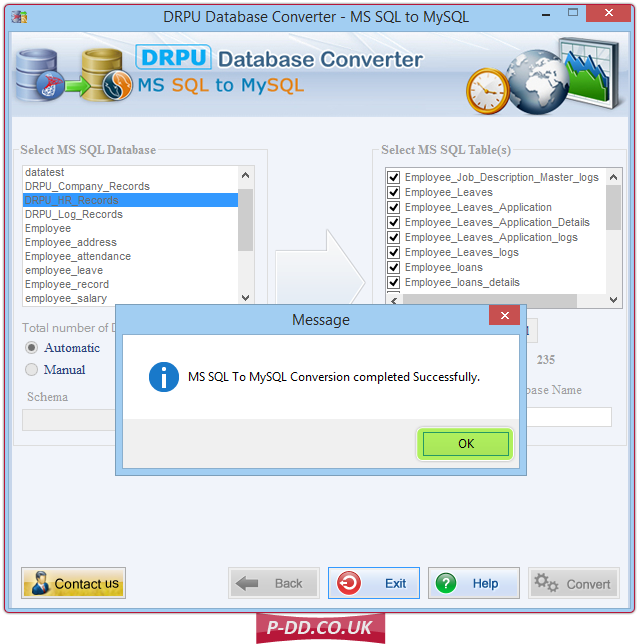 Above screen shows MS SQL to MySQL Database conversion has been completed.